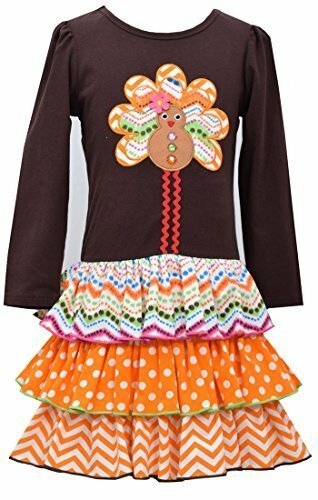 Beautiful little girl gingerbread turkey applique on solid knit bodice with multi print knit tier skirt. Dress: 95% Cotton 5% Spandex. Machine wash. Imported (Sri Lanka). Matching/Coordinating sister styles available, reference style BNJ-55455W.